White Stone Beach is an option for vacationers who want to get away from it all. White Stone is a small town located at the southern end of the peninsula known as Virginia's Northern Neck. It's located on the Rappahannock River near where it flows into the Chesapeake Bay. 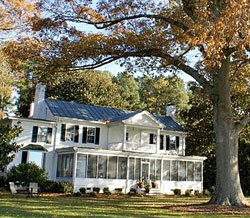 Historic Home on the Rappahannock River A six bedroom, 5 bath home located on a beautiful waterfront estate. This home, constructed in 1855, overlooks the wide Rappahannock River. There's a sandy shoreline for swimming and a dock for fishing and crabbing. Large screened porch. 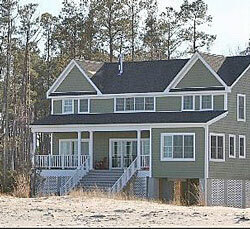 Luxury Beachfront Retreat A four bedroom, four bath home with a private beach. A canoe and kayak are included for exploring the waterfront. Gas grill and patio for outdoor dining. White Stone Beach Condo at Windmill Point Marina Here's a good option if you're cruising the area by boat. 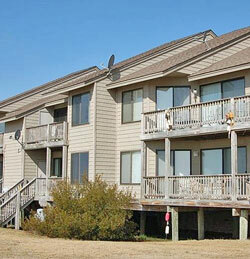 This second floor condo is located at Windmill Point Marina. Balcony with water views.